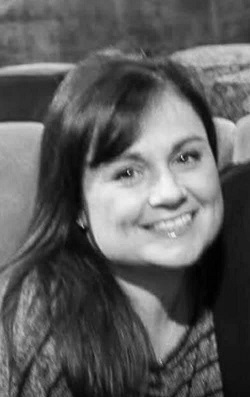 Nicole Guglielmo (nee Noviello), age 45, of Manahawkin, NJ, passed away peacefully early Sunday, December 9, 2019 at Riverview Medical Center, Redbank NJ, surrounded by the ones who loved her. Nicole was born in Patchogue, Long Island NY on December 1, 1973. She worked as a Floral Designer for MDS Floral Designs, Manahawkin, NJ. Everyone knew Nicole as a fighter who never let anything in the world knock her down. She was devoted to her husband, kids, family, and friends. She spent her time working or traveling for cheerleading with her daughters. When she wasn’t traveling, she was surrounded with friends and was known to brighten the room with her smile and bubbly personality. She is predeceased by her mother Lori Cacioppo, her grandparents; Rita Cunningham, Edward Lambert, Dorothea Ducato, and Donald Noviello. Nicole will be missed heavily by her husband, Arthur Paul Guglielmo, her children; Alexandra Guglielmo, Nicholas Guglielmo, and Kylie Guglielmo, her father; Frank Noviello & her step mother, Linda Noviello, her siblings; Frank Noviello, Megan Noviello, Greggory Cacioppo, and David Cacioppo, her in-laws; Arthur Guglielmo and Nancy Guglielmo, and her seven nieces and two nephews. Visiting hours will be Wednesday, December 12, 2018 from 2pm to 4pm and 7pm to 9pm, and Thursday, December 13, 2018 from 10am to 10:30am at Maxwell-Tobie Funeral Home, 573 Mill Creek Road, Manahawkin, NJ 08050. A Mass of Christian Burial will be celebrated on Thursday, December 13, 2018, 11am at St. Mary of the Pines Church, Manahawkin. Cremation will be private.